Bali Traditional Tour Arma Group perform 'Topeng Jimat' is named for the old Balinese dance master 'I Made Jimat'. 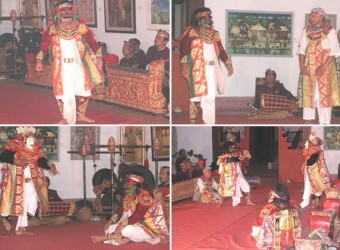 they perform Topeng Jimat (Mask dance) is a dramatic from of Indonesian dance in which one or more mask wearing. The act of the dancers using unique masks was very interesting and humorous. Cultural experience that can only be found in Bali.